1. (missed name) Supports 20mph. Was an air ambulance paramedic. If there’s a crash at <20mph then a child gets up. A crash at 30mph there are fatalities. 3. Cllr Simmons – supports 20mph. Complimented presentation. Compact nature of Faversham suits it. Limited number of ways in to the town makes signage simple. People drive slower with 20mph limit even if all don’t drive below 20mph. Risk of delay if remit is borough-wide. Do Faversham first. 4. Cllr Henderson – v strongly supports 20mph. Don’t risk delay by making borough-wide. Do Faversham first. Faversham is not a through place like Sittingbourne so it will be easier. Congratulations on effective campaign, which has convinced Town and Borough councillors. People drive around 10mph slower with 20mph limit. 5. Cllr Harrison – impassioned people have had their say. Don’t make seat of pants decisions tonight. 6. Cllr Willcox – supports 20mph. Trial it in Faversham. It could be self-financing if it saves deaths. 7. Cllr Mulhern – v fully supportive. Motion tonight is to set up a working group, not to make a snap decision. Supports borough-wide but start in Faversham. His father was killed on a road crossing by a slow-moving vehicle so there will always be accidents. 8. Cllr Gates – supportive of what the Town Council says and does. 20 is plenty. Do one place at a time to learn from mistakes. 9. Cllr Truelove – supports 20mph. There’s a risk of snagging if it goes borough-wide. 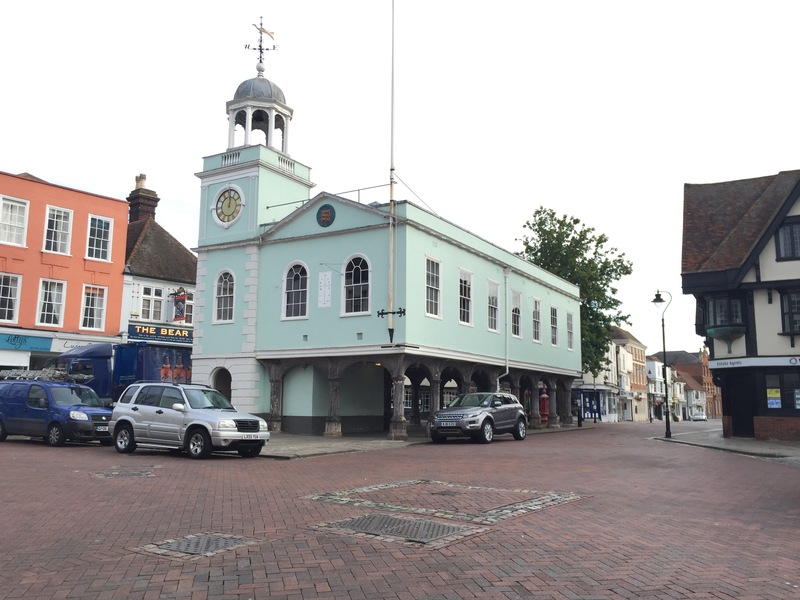 8 in favour of Faversham working group. 6 in favour of borough-wide working group. Worth noting that no one spoke against either motion. 1. County Engineer – a contingency allowance of c£50k had been made for diversion of services. Estimates have come back at c£400k. They are looking at mitigation steps to reduce the sum. In the past, 6-figure sums have been found to be 5-figure sums. Nevertheless the narrow window has been missed for removal of vegetation so the project can’t proceed this year. A decision has been made to put the project on hold. 2. Cllr Gates – wanted traffic lights because they provided crossings. One option had a crossing over the Mall and a crossing over the A2. Don’t alter the look of the entrance to historic town. Provide cycle paths. Provide controlled, lighted crossings. Local people in favor of lights, albeit narrowly. Look at it again. Benefits need to be not only for cars but also people and cyclists. 3. Cllr Prescott – supported lights. Others wanted roundabout. Engineer will now know where the utilities are. This will help in designing a new solution. 4. (missed name) – Go back to the drawing board. Roundabout not conducive. Not appropriate in a place where there’s pedestrians. Problem with the vote last time was there were 2 traffic light options and 1 roundabout option. Traffic light vote was split. 5. Cllr Mulhern – supports roundabout because has seen how effective they have been in Essex in helping flow. Best is to do nothing because we weren’t looking at Perry Court before. Ashford Road isn’t on mains drainage and works may need to take place. So shouldn’t do a roundabout before then: premature. 6. Cllr Henderson – thank goodness it’s on hold. 20mph will create more junction capacity so – should be tried first. We need solutions that promote walking and cycling. 7. Chair – KCC may come back with new proposals. The Swale Joint Transportation Board this evening approved a motion to set up a working group to look at how a blanket 20mph speed restriction can be implemented across the whole of Faversham. The JTB expressed a strong view that the working group should also investigate a borough-wide 20mph limit. 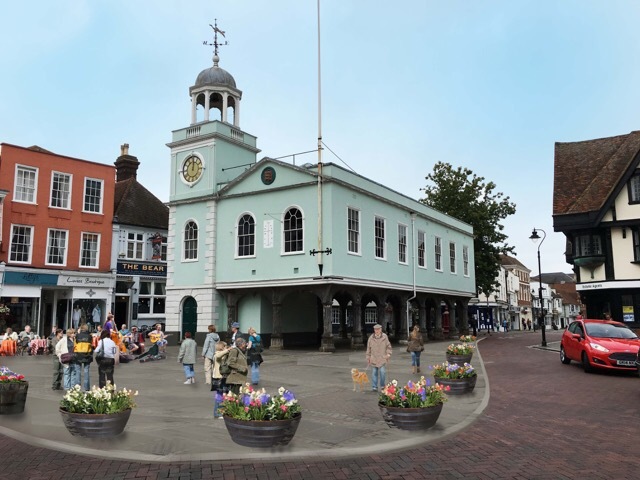 This decision is a significant success for the 20s Plenty for Faversham campaign, and for Faversham Town Council, which supported the campaign. It was also reported to the JTB that the proposed, and highly unpopular, A2/A251 roundabout is on hold because cost estimates for services diversions have come back at around £400k against a budget allowance of around £50k. The 20s Plenty campaign spoke afterwards with Kent County County Highways Engineer and requested a working session before any new recommendations are made so that local views can be input and a solution can be co-created. Thanks go to Faversham Town Council, The Faversham Society, the 20s Plenty for Faversham campaign, Ethelbert Road School and the many local people that have opposed the roundabout. Both results demonstrate what can be achieved when people in Faversham engage in reasonable discussion, broad consultation and concerted action. Thank you for giving me this opportunity to speak today. I think we are all agreed that the junctions of the A2 with the A251 Ashford Road and the Mall can be improved. But the characteristics of the present problem and, therefore, the nature of a preferred solution are not addressed by the proposed roundabout and its associated banned turnings. I would like to address both problem and solution in this brief presentation. And I would like to suggest a way forward. First, the current problem of vehicle congestion is highly peaky. Most of the time, the junction is free-flowing. Second, at school peak times there may be more pedestrians using the road space of The Mall than vehicles. Third, children and other vulnerable road users have no formal pedestrian crossing points – they have to chance it by crossing, often running, between moving traffic. Fourth, local residents report they don’t walk into town because they are afraid to cross the road, especially Forbes Road and The Mall. Fifth, there are no formal cycling provisions. Sixth, planned housing development in Faversham will create more travel demand that can only be accommodated in a safe and convivial way by a significant shift to non-vehicle modes ie to walking and cycling. In other words, traffic congestion is not the only problem that needs addressing. Road safety – both real and perceived – as well as public health, air quality and social cohesion also matter. The proposed roundabout is highly expensive, highly unpopular and fails to address the current needs of road users, especially vulnerable road users. It provides no facilities for cyclists and only a deeply substandard, token gesture for pedestrians. Faversham Town Council is against the roundabout. Ethelbert Road School is against it as are the Faversham Society, local residents and public realm design professionals like myself. Even the local taxi drivers I’ve spoken to are against it. By banning the right turn out of The Mall, the proposals will encourage traffic to rat-run through local streets or to swing round the roundabout and rush back along the A2 to make up for lost time from having been forced out of its way. As a result, the overall junction will work less well for vehicles and will make conditions for pedestrians and cyclists even worse than they presently are. First, it should prioritise vulnerable road users, providing facilities for pedestrians and cyclists. Second, it should improve junction capacity by slowing vehicle traffic to 20mph so that, as vehicles approach the junction it is possible for more vehicles to turn in and out. This principle is well established elsewhere in the UK. Amanda Russell will speak about the 20sPlenty campaign later but let me here make the point that 20sPlenty benefits vehicles as well as non-vehicle road users. Third, an alternative approach should involve local people in its design – they are also experts. This issue is now so high in the local consciousness that it shouldn’t be left to those on high to come up with the alternative and then send it out for comment. Finally, let me say something about traffic lights. Would they be a better solution to a roundabout? Perhaps, yes – but only if part of a design that benefits pedestrians and cyclists; only if part of a design that slows vehicles and only if part of a design that is co-created with the local community. In the meantime, my preferred approach is to introduce a 20mph speed limit at and around the junction and monitor the effects of this single, extremely low-cost design change before committing to significant further spend. At yesterday evening’s Town Council meeting, councillor after councillor spoke in opposition to the proposed roundabout at the junction of the A2 and A251. There were many damning comments from experienced public servants who will, I’m sure, have chosen their words carefully. All of which makes the Town Council’s rejection of the roundabout even more significant. Cllr Willcox said that he believed the roundabout would only move the problem and that the designers of the scheme had forgotten about the needs of pedestrians. He expressed grave concerns from both an ethical and a governance perspective. He said the scheme did not represent value for money.